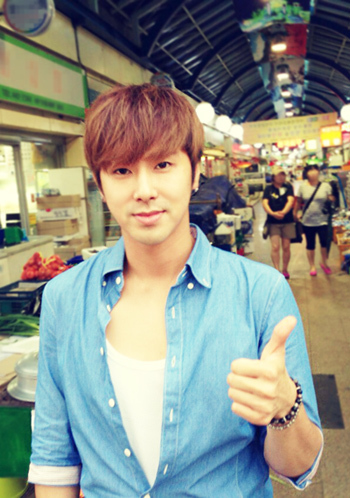 Hello~ This is U-Know Yunho. But I heard that you guys were all so worried about me, so I decided to write a post to assure you of my condition and thank all the fans who came to our Shanghai concert..
Because I wanted to create a better performance for all of our loving fans at the concert, I put all my efforts into preparing, rehearsing and exercising before the event. My muscles cramped up and I ended up making you all worry, which makes my heart ache so much when I think about it.. Though we and our fans were exhausted because of the hot weather, each and every heart at that venue became one to create a performance that we all enjoyed!!!! Thank you!!!!! To our Cassiopeia, who have always loved and cared for us, I will continue to work hard to repay your love with performances that only get better and better!!! My deepest thanks for translating this!